Comment: NO highlighting or underlining. Pages are crisp and clean. Overall very good condition. Ships directly from Amazon, Prime 2-Day shipping available. Inscription to original owner inside cover. In April of 2007, Linda Weatherspoon suffered a sudden, devastating stroke due to a ruptured aneurysm in her brain. In a flash, an entire life of work, a Masters level education, and the ability to walk, talk, read and think logically were taken away from her and 30% of her brain was physically destroyed. Linda's determination and recovery is nothing short of miraculous. 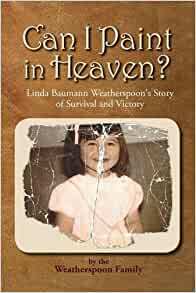 This book is written to describe the emotions and circumstances Linda and her family found themselves in, and just what the extended family went through in order to help Linda rehabilitate. Step by step, told through Linda's voice, her husband Jeff and various other friends and family, this is the story of Linda's ongoing and triumphant victory. If you or a family member has suffered a debilitating stroke or life changing medical catastrophe, this book will provide you hope. 5.0 out of 5 starsYou must read Can I Paint in Heaven? This book is AMAZING! It is uplifting, inspiring, and educational on so many levels. If you've suffered a stroke, or a loved one has, you MUST read this book. It'll take you on a journey (true story) from the stroke victim's (and her family) perspective of before, during, and after the event. 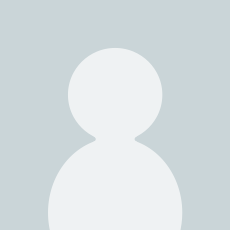 She/they describe the long, difficult road to recovery - astonishing doctors (who have referred to her recovery and accomplishments as miraculous) and friends every day along the way. The author also educates us about Cushing Syndrom and her medical misdiagnoses prior to the stroke. Finally she shares the story of her very difficult childhood and her wonderful family. I plan to give this book to several friends as a Christmas gift. 5.0 out of 5 starsNever give up, trust family and Lord will see you through anything. Absolutely amazing true story of a family that came together and never gave up after a unthinkable medical emergency. With their steadfast resolve and faith in God a remarkable recovery that was medically impossible took place. Quite a story of Linda's determination, fight and continuing study to recover. Very inspiring. Also interesting to read the story from the observation of various members of the family. 5.0 out of 5 starsIncredible journey!! This is a touching story of personal triumph over some of the most dismal and heartwrenching obstacles a person could be confronted with. The detailed accounts from each family member that contributed to this story are so vivid that i felt like i had been right there with these people durong their most vulnerable hours. This is a very emotional book & it gave me a glimpse into how my life could have taken a turn for the worse had I not had a proper diagnosis for Cushing's Disease when I did. Linda (author) suffered her stroke most likely due to Cushing's...but through the devastating, often the good arises. Linda is helping many people through her art therapy classes & is an advocate & inspiration for so many who are going through similar situations. I highly recommend this book! I even introduced it to my medical assistant students during my lecture on the endocrine & nervous systems, & many of them expressed interest in ordering the book. This item: Can I Paint in Heaven?